QMobile is well aware of the craze of selfies nowadays. That is why it is continuously introducing the selfie-oriented mobile phones. These mobile phones have much finer front cams for high class self portraits of the consumers. Not only the front cams are the area where these phone do excellent job, they also have well embellished design pattern and quality built material. 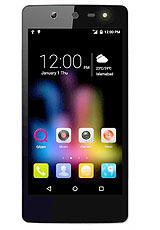 With the introduction of QMobile Noir S1, the company has enagurated a new series for its smart phones. 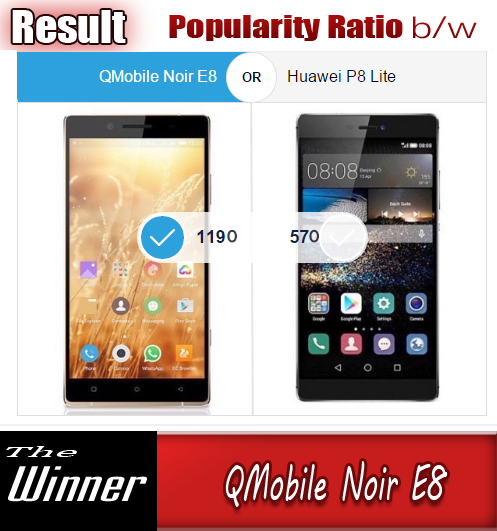 It seems as the company is giving special heed to its newly announced S-series as we have seen a well known actress in the TVC of QMobile Noir S1 and it has gotten much popularity with its release and many of the people rushed towards retail centers to buy the very first phone with S-prefix. 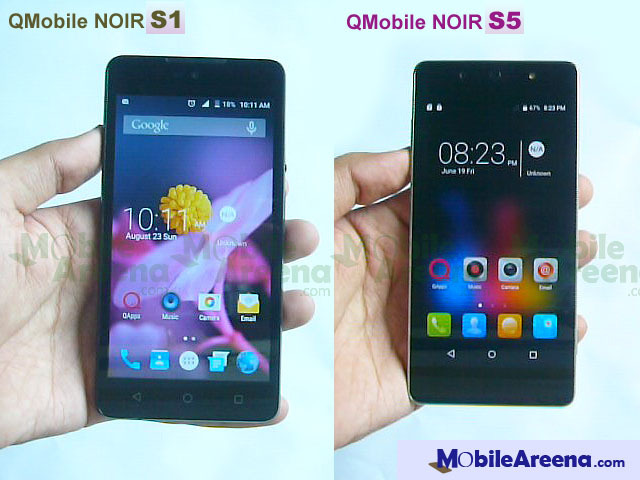 This is the special article for the comparison of QMobile Noir S1 and Noir S5. We have mention all the differences in text. As we as we have also baked a video to show you both the devices live and brief you about all the similarities and difference of these two gadgets of QMobile. Here is the video for your viewing pleasure. We hope that it will help you to reach a decision to buy one of the set between the two. 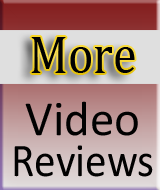 Don't forget to see the comparison table below this video. • Both the phone have the feature to "lock screen" with "double tap" on home button. 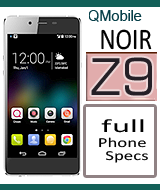 • QMobile Noir S5 offers a dedicated camera key on the right side whereas S1 lags this feature. 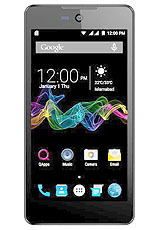 • QMobile Noir S5 has 8.0 MP cameras on front and back whereas the cameras of Noir S1 are of 5.0 MP both. 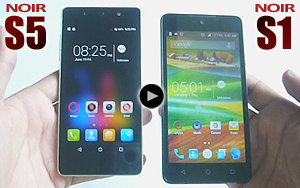 • QMobile Noir S5 has the feature of "Awake Screen" with double tap whereas Noir S1 does not has this feature. 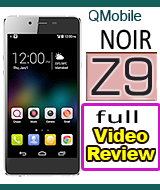 • QMobile Noir S5 gives you a free Selfie Stick in its retail box and S1 does not. • Gallery style of both the phones are different. • The significant feature of QMobile NOIR S5 has larger 2300 mAH battery that gives some extra time than that of 2000 mAh battery of QMobile NOIR S1. QMobile Noir S1 has removable batter while the Noir S5 has fixed battery inside the back cover. • Price Difference is about 4.000 Rupees. • S5 has carbon built back cover whereas Noir S1 has leather-like material used in back cover. Rest of the features can be compared in the table and here is the table that enables you to find similarities and dissimilarities in the two smartphones. Compare both the handsets and tell Us what is Your Choice ?